In the Book of Genesis, God commands Abraham to sacrifice his son, Isaac. We read this as a test of Abraham's faith, which it is, yet God reveals a much more important lesson for us. Through this test, God presents His plan for our Savior that points directly towards Holy Week and Resurrection Sunday, providing correlations between Abraham and God, Isaac and Jesus. When we compare Genesis 22 with passages about Jesus, the puzzle begins to take shape. To begin with, both Isaac and Jesus are described as their father’s only sons, whom they love. As I described in Family Feud, Muslims reject this characterization of Isaac as Hagar bore Ishmael to Abraham first. Paul addresses it in Galatians 4:23 "His (Abraham's) son by the slave woman was born according to the flesh, but his son by the free woman was born as the result of a divine promise." 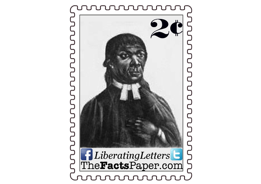 TheFactsPaper brings you facts and evidence to help you combat the overwhelming propaganda put forth by the Main Stream Media. We provide articles and information regarding History, Religion, Science and other topics. 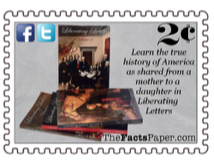 Our weekly blog, Liberating Letters, contains thoroughly researched and informative letters that will wet your appetite for more truth. We are the one stop resource that no one else is willing to provide. We do the work so you don’t have to. Articles and videos are being updated daily so visit often. Please feel free to CONTACT US if you have any questions or know of additional resources. 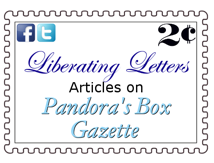 Liking Liberating Letters? 'Like' us on Facebook and Follow us on Twitter! Trump Didn't Call Neo-Nazis 'Fine People." Here's Proof.